This is still a big “if” as I write. While it has the potential to be a political crisis, it will not become one on the back of speculation or the trailing of crumbs alone, it will require something more substantive. Minister Harris has acted and sounded in recent days like a man determined to address the problem and unafraid to call the situation as he sees. An impression re-enforced by the HSE boss saying that he wouldn’t have gone on the media, as Minister Harris did, to express a lack of confidence in the service’s management. It is as if Minister Harris has studied Michael Noonan’s 1996 Dáil statement on the Bridget McCole case and learned how not to handle such a crisis. Noonan later admitted that he had made a mistake in listening to the legal advice that he should not intervene in the McCole case and acknowledged how much he regretted that decision and his role in that saga. Harris, Varadkar and every Minister should learn from Noonan’s situation. But there are no hard and fast rules on when to heed and when to disregard legal advice. That requires political judgement. You either have that, or you don’t – something that a severe Dáil grilling will expose. 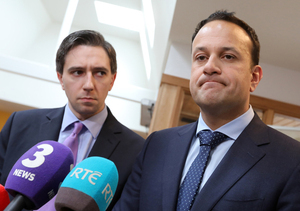 The Taoiseach and the Health Minister will come under intense pressure in the Dáil today as try to address the many questions the opposition parties and groupings will hurl at them. 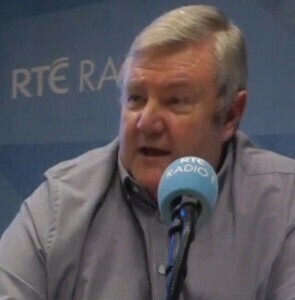 They will be expected, at a minimum, to guarantee that the independent inquiry into the CervicalCheck controversy is established quickly; to ensure that all the information regarding the delayed diagnosis of cervical cancer is provided speedily to those affected and to publish the departmental note the Minister was given about the Vichy Phelan case just before the court hearing began. They will also have to come up with a proposal for mandatory open disclosure, something that was promised by Varadkar when Minister for Health and then abandoned by him in early 2016. This will be a big test for the Taoiseach and his ministers. There are no bonus points for coming through it, but there plenty of negative ones if you come across as ill-prepared, ill-informed or unsympathetic. It is a delicate balancing act. You cannot throw your officials under a bus just to save your own skin, but neither can you come in and act like a departmental official, reading from a closely worded script designed to obfuscate and confuse. It is a test they are taking against the backdrop of the soured relations with the main opposition party that I mentioned at the outset. While the focus of the debate and exchanges will rightly be on the lives affected by the delayed and incorrect results, the politics of the past two weeks may also leach into those interactions. While assorted pundits and political activists may be uncomfortable with the current confidence and supply arrangement, it seems that the electorate are not as disapproving or, at least, they haven’t been up to now. Indeed, successive opinion polls have shown that likely voting intentions would not significantly alter the political make-up of the Dáil. 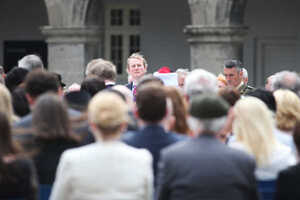 While the poll shifts affect the margins, the core positionings remains the same – though a new permutation: a majority coalition of Fine Gael and Sinn Féin now appears more arithmetically and politically possible. That political possibility increased with last Friday’s two Seanad by election results. These mini-elections saw Sinn Féin Oireachtas members vote for the Fine Gael leadership anointed nominees on both panels with a greater zeal than some of their Fine Gael colleagues. 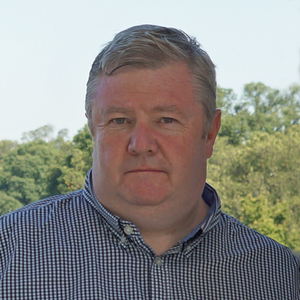 While the anti-brexit, unionist, Northern Irish farmers leader, Ian Marshall, was always likely to take one of the vacancies, the other one – which most of us expected to see go to an anti-brexit northern Irish nationalist, but somehow one was never nominated – ended up as a mano-a-mano fight between two former TDs: Fine Gael’s Anthony Lawlor and Fianna Fáil’s Niall Blaney. Sinn Féin had a simple choice to make: which candidate represented the party they hated least. The Shinners decided that it was Fine Gael. These wins stoke up tensions for the confidence and supply deal, a deal which unlike a particular woodstain/paint, does not exactly do what it says on the tin. As one of the main negotiators behind the Good Friday Agreement explained to me in Belfast a fortnight back, the issue with calling the arrangement between Fianna Fáil and Fine Gael a confidence and supply agreement is that it gives the wrong impression of the relationship and raises unachievable expectations. While Fianna Fáil did secure commitments on 42 policy specifics on a range of issues such as housing, public services, crime and the economy, not to mention reversing Fine Gael’s plans for Irish Water, it is hard to categorise their implementation under Varadkar’s stewardship as anything but grudging. My friend’s suggested description of Fianna Fáil’s role is not as a supplier of confidence, but rather as an opposition that is enabling the government to govern. Indeed, the text of the agreement itself uses similar language referring to it as facilitating a Fine Gael led Minority Government to govern. So instead of a confidence and supply arrangement, Fianna Fáil is in an enabling opposition one. This may appear to be a Jesuitical distinction, but is an increasingly important one, now that the Taoiseach has opted to ramp up tensions and announce that he is telling Ministers and their political staff to keep lists of opposition promises. There are two curious elements to his warning. The first is that he feels he must tell them publicly. Irrespective of whether your party is in office or not, you keep a tally on what your opponents are promising. This is what political parties do. It is called opposition research. They don’t need to be told to do it, unless they are incompetent. The second, is that the Taoiseach singled out Fianna Fáil. Why only Fianna Fáil? Most recent newspaper polls do not show it posing any growing threat to Fine Gael’s lead, so why these sudden shows of twitchiness and tetchiness from Merrion Street? Could it be a case of getting your revenge in first? The Taoiseach may now fear that Fianna Fáil’s lengthy becalmed position in the polls will leave its leadership with no alternative but to up their game and increase their attacks on Leo and his ministers. So, it is just political theatre and is for public consumption. Up to now the mantra from government and main opposition party alike is that there is no public appetite for an election. Might the Taoiseach’s increased twitchiness be a sign of his frustration at relying for his day-to-day survival on squabbling independents and an impatient main opposition party? Might he have concluded that the best way to bring each to heel is to start shifting the public’s “no mood for an election” disposition by hinting of the possibility of a trip to the polls before year’s end? If it is, then the Taoiseach should be careful what you twitch for. Political momentum in politics is an odd thing, especially when so many events are beyond your control. Posted in Misc and tagged Derek Mooney, Mooney on Monday at 1:58 pm on May 1, 2018 by Derek Mooney. Oh great, hang on…. wrong Derek Mooney. I’m really annoyed at the current “witch hunt” in Cervical Check. I’m annoyed at the calls for doctors to be charged with manslaughter. I’m annoyed at the calls for people to lose their pensions. I’m annoyed at Cervical Check (and the HSE) for not operating open disclosure and sullying the amazing work that has been done in Irish screening over the last 15 years. I’m annoyed at the posters that are making this a gender issue. I’m annoyed at the sensational reporting. The various screening programs (CervicalCheck, BreaskCheck, and BowelScreen) are all initiates that, at their core, were built to save lives and to simplify treatment (earlier caught, easier and better outcomes). And for those of you making this a gender issue – two of these three are primarily aimed at women. These all started off as small local trials, and have grown over the years – to become nationwide. The people that work there are all dedicated to improving people’s lives. People like Tony O’Brien spent years building up CervicalCheck – which morphed (with the others) into Nation Cancer Screening Services. Fighting for money. Fighting to roll it out to the whole country. Fighting to extend the ages-groups covered. Fighting to save lives. As far as I’m concerned you don’t stay CEO for that long unless you really care about what you are doing. The people that work there aren’t just doing a job – they are living a job that is actively saving lives. Were mistakes made? Yes. Do we need to learn from these mistakes? Yes. Are mistakes easy to see in hindsight? Yes. Should they have been foreseen? Probably. Have people died as a result? Sadly, Yes. But, if it weren’t for people like Tony O’Brien and Dr Gráinne Flannelly, and the hundreds of others that built up the Cancer Screen Services then thousands of women would be dead that are living healthy lives. Note: I’m not connected in any way to any of these services, but I’ve worked with some amazing people doing similar jobs, and I respect the hell out of them all. Cian, your some skoombag using this to troll with your pathetic deflections and comments. I’m annoyed at shills for the HSE and Irish Water. Probably wiser to be annoyed by stupid government. Irish Water is the agency that will still have to fix our broken water system. Stupid government tried to use it as a stick to beat us with. Hate the beater, not the stick. Cian. Youve started off with a list of things that are annoying you (the reaction of the public etc.) as if those self same public shouldn’t question too much or comment too much or give too much of an opinion on the subject. But it’s annoying people that many ‘get out of jail free cards’ are available to these professionals. There has to be some form of accountability for such failures. The being answerable and punishment must start. I’ll add one – should there be accountability? Yes. Thanks GiggidyGoo for your response. Yes we need to question these things, but I’m not happy that it is always a witch-hunt. And you are correct: I should have added “should there be accountability? Yes” in my original post. @Bodger – can you edit my original post to add that? into the 3rd paragraph? Should there be accountability? — yes. If you want to punish someone punish the people of Offally. For those who believe that Cowen cares about women’s health.